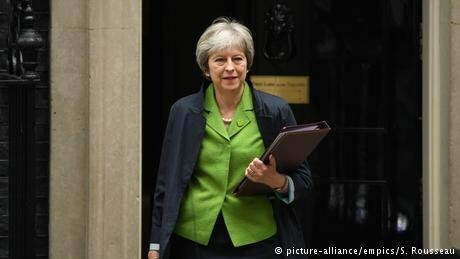 British Prime Minister Theresa May managed to overcome the remaining hurdles to her Brexit blueprint on Wednesday after the House of Commons rejected amendments made by the House of Lords that would have seen the UK remain in the European Economic Area (EEA) and EU customs union after Brexit. While May's plans for Britain's trading future remain unclear, she adamantly does not want to be beholden to an agreement that would make Britain obligated to remain the single market. Although the vote was technically a victory for May, her political sway appeared severely weakened as two competing wings of her Conservative party bickered over how close Britain ought to remain to the EU. Things were looking similarly grim for opposition leader Jeremy Corbyn, whose Labour Party led something of a revolt during the EEA vote. Corbyn, a longtime euroskeptic on the grounds that it privileges corporate interests over people's, had attempted to whip Labour MPs to abstain from the vote in order to weaken May's position even further. Rejecting what he called the "Norway Model" for EU relations, Corbyn said: "It would leave us with next to no say over rules we have to follow, it does not allow us to negotiate a new comprehensive UK-EU customs union and it fails to resolve the Irish border issue." However, many Labour parliamentarians ignored his advice to abstain, with 75 voting for the bill and 15 against. A shadow minister and several junior aides had to resign in the process. At the same time, Ireland dismissed any idea that it might "fill Britain's role" in the EU after Britain leaves. "Brexit is a lose-lose-lose situation. I think Britain's position in the world will be weakened both politically and economically," Irish Foreign Minister Simon Coveney told DW.